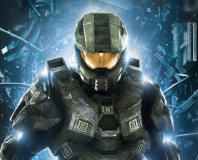 Microsoft has unwittingly revealed two of its biggest announcements ahead of its E3 2011 press conference, with updates to Xbox.com (screencapped on Eurogamer) revealing both Halo 4 and a HD remake of the original game. Details on both titles are few, as the images have since been removed and only showed brief synopsis' for each game, but the confirmation remains. Other titles unveiled in the slip-up include Dance Central 2 and Kinect Sports Season 2. 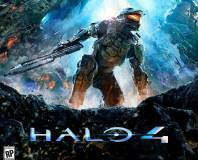 Halo 4 remains the biggest news, however, with Microsoft claiming that its 'the news millions of fans have been waiting for'. Meanwhile, the long-rumoured Halo HD project has been titled as Halo: Combat Evolved Anniversary and is billed as a 'The epic game that launched a universe, remastered for a new generation'. The last title in the Halo series, Halo: Reach was received with indifference in our Halo: Reach review. Microsoft's E3 2011 press conference is still two hours away, so fans likely won't have to wait long for details. Until then, let us know your thoughts in the forums. You can check out other news from the show via our E3 2011 News hub. October release for 343's latest. 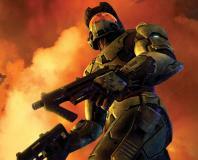 Halo has dated its HD remake of the original Halo.